The U.S. Bureau of Land Management Battle Mountain District Office is looking to hire a new outdoor recreation planner. David Jacobs/Pahrump Valley Times The sign is in front of a BLM office in Tonopah, the Nye County seat of government. The position located in the Tonopah Field Office, but covers the entire Battle Mountain District from Battle Mountain to Beatty. The application period has been closed and the agency is currently conducting interviews. public affairs officer at BLM Battle Mountain District Office. “There has been an increase in workload in this position, in particular just because the increase in public interest in doing recreational events, which is an exciting thing,” Hendrix said. The district has a number of new recreation events, Hendrix said. Some of the newer events include the Rebelle Rally, the first women’s off-road navigationally in the country; Vegas to Reno annual off-road race; and the Tinker Classic, a bike race that begins in Beatty and ends at the Spicer Ranch. “It’s exciting because we have more people interested in coming out and enjoying their public lands,” Hendrix said. The position was advertised on usajobs.gov, a website for government positions, where all of the BLM positions are posted. The position was opened on March 20 and closed on April 3. “We’ve gotten a list of candidates, and we are currently in the process of reviewing the candidates who made the criteria list and moving toward the selection,” Hendrix said. Some of the main duties of the position would be processing special recreation permits for off-road desert races and recreation activities. In addition, it would involve creating campground layouts and analyzing impacts of recreation events and activities. 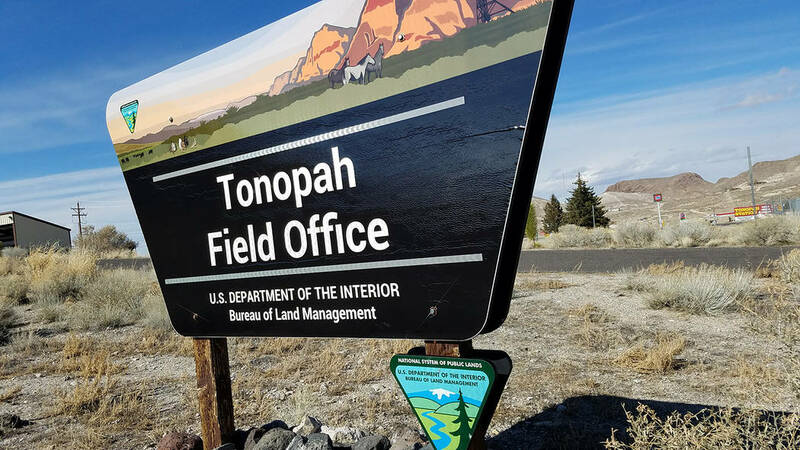 “The majority of recreation activities that demand these special recreation permits, the vast majority of them are down near Tonopah or they are in the southern half of the district,” Hendrix said. “We are definitely interested in and excited to have local interest, and we would definitely urge people to make ‘usajobs’ part of their job search routine,” Hendrix said.